Book your dream Madison River trip with MFO, you will not be disappointed. 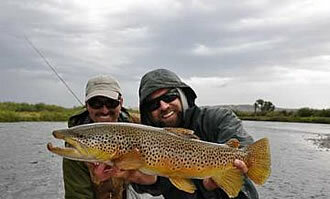 We have been guiding on the Madison River for over a decade and our guides are fun, professional and know their stuff. Outfitter #17209. 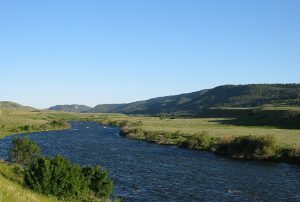 The Madison River, perhaps the most famous of all the rivers in Montana, begins in Yellowstone National Park at the confluence of the Firehole River and Gibbon River. 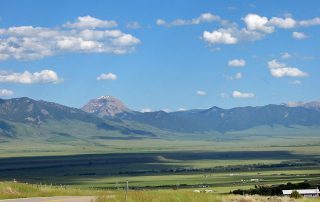 From its origin, it flows for more than 140 miles through exceptionally beautiful scenery before it reaches the Missouri River near the town of Three Forks, Montana. With its beautiful scenery and excellent fishing, a visit to the Madison River is a top priority for many anglers on a Montana fly fishing trip. 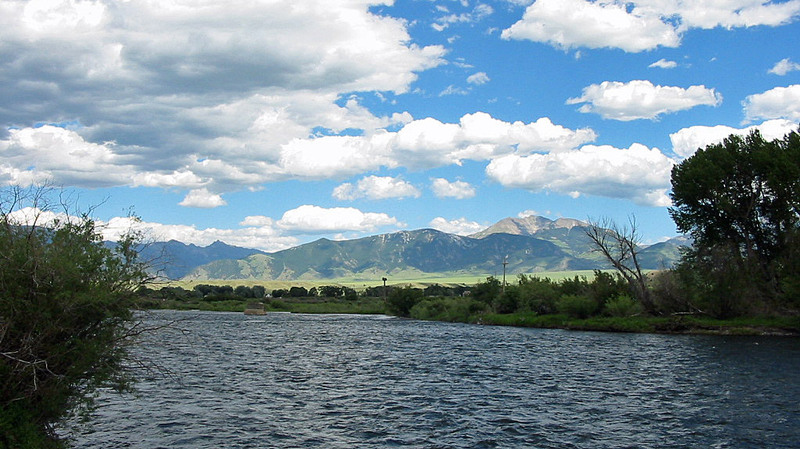 The Madison River offers exceptional fishing in a beautiful setting. All fishermen can enjoy the river, as the dry fly fisherman, the nymph fisherman and the streamer fisherman all enjoy success on the river. Despite the Madison’s run-in with whirling disease years ago, the Madison River still provides some of the finest fishing in the state for wild rainbow trout and large brown trout. Discover the secrets of fishing the Madison with Montana's top guides. 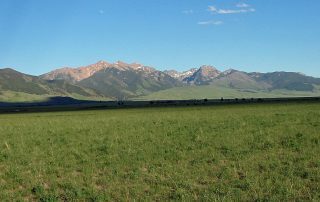 Montana Angler Fly Fishing offers guided trips and world class lodging packages on the Madison River and nearby waters. Outfitter #10770. The Madison River runs for twenty-three miles in Yellowstone National Park before leaving the park near West Yellowstone, MT. Just below West Yellowstone, the river runs into Hebgen Lake, a fourteen-mile lake created by the Hebgen Dam. Less than three miles below Hebgen Dam, the river runs into another dam, this time naturally made, at Quake Lake. Quake Lake was created in August of1959 when a 7.1 earthquake caused a massive rock slide that completely blocked the Madison River at the west end of Madison Canyon, creating a lake behind the slide. The channel of the river was also altered by the slide as the Army Corps of Engineers scrambled to build a channel for the river before a catastrophic flood would have occurred. The area around this rockslide has been preserved as the 38,000 acre Madison River Canyon Earthquake Area. Directly beneath Quake Lake, the Madison River turns into a wild, rampaging river for three miles. The earthquake caused the whitewater on this section of river by creating a steep drop filled with rocks. The gradient of river is very steep, with large boulders and drops scattered all along this stretch. Numerous Class III and Class IV rapids exist. Beneath this whitewater section, which ends above the Highway 87 Bridge, the Madison River turns into a swift flowing but gentle river for the next fifty-three miles as it makes its way down the middle of the gorgeous Madison Valley and past the town of Ennis. The float in this section is absolutely beautiful. 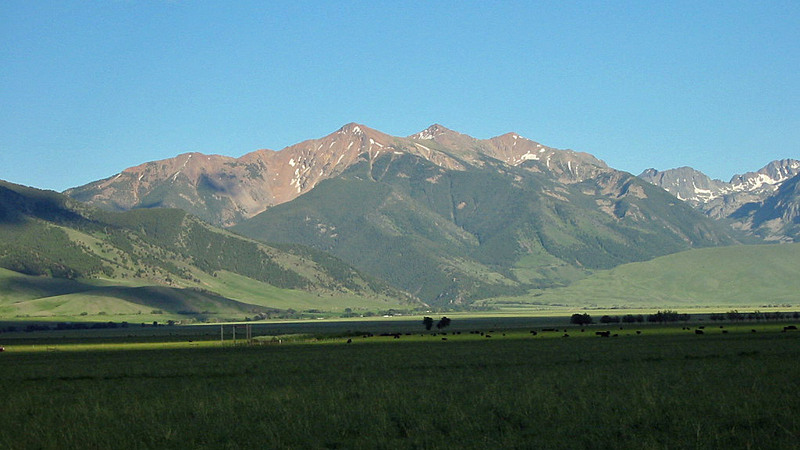 Snow-capped mountains line the western and eastern skyline, and the open nature of the rivers banks allows almost non-stop views. Throughout this entire section of river, the Madison has countless riffles, runs and pools, and provides the best fly fishing on the river. 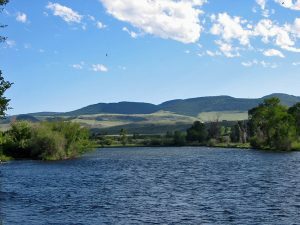 Soon after passing through Ennis, the Madison River flows into Ennis Lake, a small five-mile long lake created by the Madison Dam. Once the river passes through the dam, the Madison passes through Bear Trap Canyon. Through Beartrap Canyon, the Madison River is hemmed in by towering canyon walls and has almost constant whitewater. This section of the river is more heavily floated by whitewater enthusiasts than fisherman, as the river flows and whitewater hamper productive fishing from a boat. The Madison River emerges from Bear Trap Canyon seven miles later, still thirty-one miles above the confluence with the Missouri River. For the remainder of its length, the river flows fairly steadily at first and then more slowly through open, somewhat arid countryside, with no further rapids or obstructions. Brown trout are the main trout species in the Madison River downstream from Madison Dam. The terrain the Madison River flows through is both unique and beautiful, which is one reason the river is so popular for fly fishing. 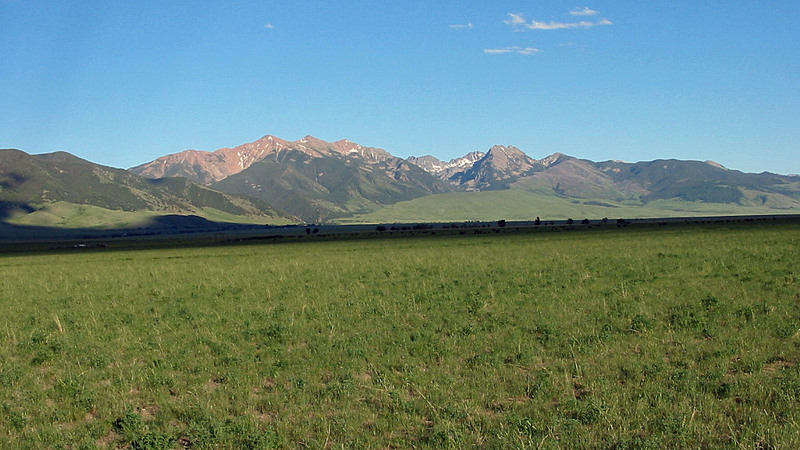 The Madison River ranks as one of the top trout fly fising waters in Montana. Trout, both rainbow and brown, are very high—particularly upstream from Ennis. Moreover, the trout are sizable—you won’t find many half-starved, eager to take anything trout in the prime fishing waters of the Madison. Finally, the Madison River ranks as one of the prettiest rivers in Montana. So even if the fish aren’t biting, it’s never a really bad day on the river. There are several distinct sections on the Madison River. Each are covered separately on this page. 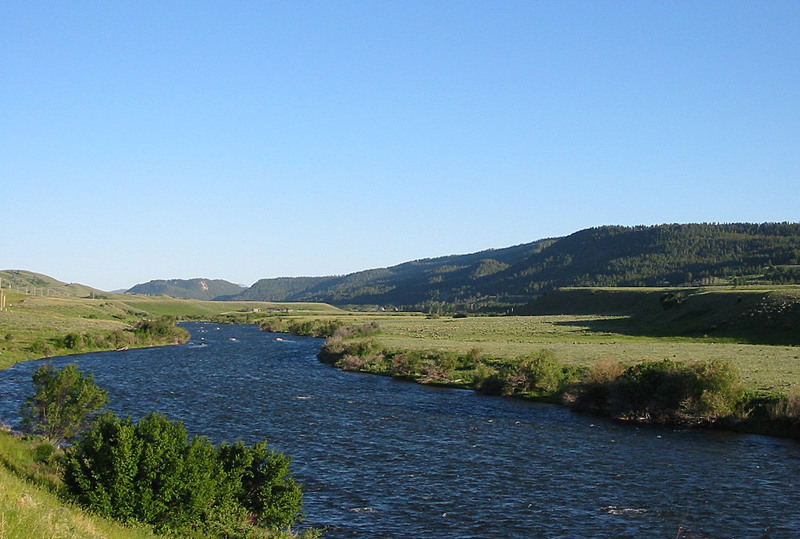 For most of this section, the Madison River flows in Wyoming through Yellowstone National Park. A summary of this section of the Madison River is provided below. 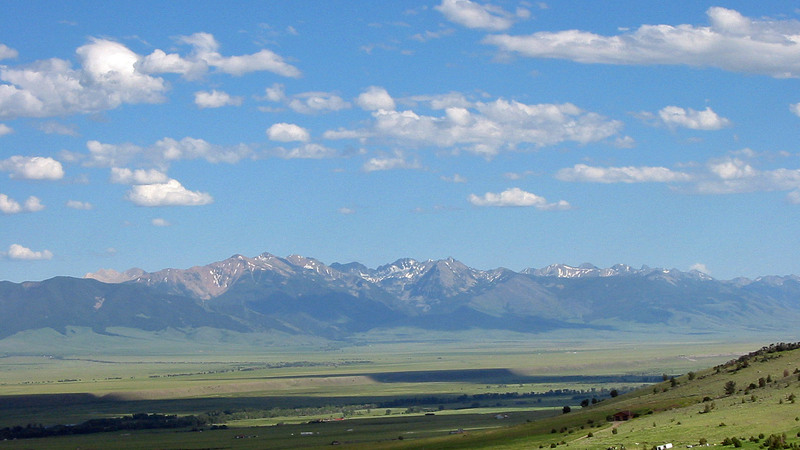 For more complete information, please see the Madison River in Yellowstone National Park guide. The Madison River in Yellowstone National Park has extremely good fly fishing. The active geysers of Yellowstone keep the Madison River very high in fertility, and also keep the temperatures of the water warm. Fishing is seasonal in nature, with the best fly fishing being during early summer and again in the fall. The high temperatures of summer will frequently warm up the Madison River to temperature levels that require the park to close off all fishing. Yellowstone National Park opens for fishing in late May. The best early fishing on the Madison River tends to occur, depending on water levels, in mid-June with the arrival of excellent caddis hatches and Salmon Fly hatches. During the fall, this stretch of the Madison River comes alive again, this time with large brown trout that migrate up from Hebgen Lake. This time of the year is a very good time to fly fish the Madison River in Yellowstone National Park, as the vast bulk of the crowds are gone. 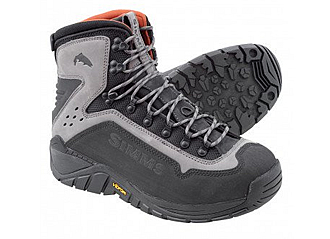 Just be prepared for cold weather. Once the Madison River leaves Yellowstone National Park, it flows for only a short distance before reaching Hebgen Lake. Due to the large size of this lake, either a motorized fishing boat or an inflatable fishing boat that’s easy to paddle is highly recommended. This section of the Madison River is located entirely in Montana. The section of river between Hebgen Dam and Raynolds Pass Fishing Access Site has the fastest and most turbulent river flows. Between Hebgen Dam and Quake Lake Inlet, the river flows for less than two miles before reaching Quake Lake. Below Quake Lake, the river flows for an additional four miles before reaching Raynolds Pass Fishing Access Site (FAS). This part of the Madison River closely follows Highway 287. 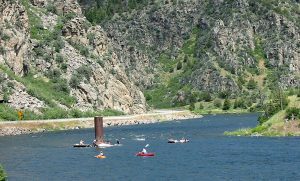 Due to easy road access and a number of lodges, fishing pressure can be heavy, particularly between Hebgen Dam and the inlet to Quake Lake. The Madison River in this section has extensive whitewater and rapids, particularly between Quake Lake and Raynolds Pass FAS. Deep pools and runs are common, along with a very fast current. Due to the fast current, float fishing is exceptionally difficult, as most float fisherman will likely spend more time hanging onto the boat than actually fly fishing. For this reason, wade fishing below Hebgen Dam and again downstream from Quake Lake is quite popular. For the wade angler, a popular method to catch the large rainbows and browns on this section is to use weighted streamers on a sink tip line, dropping them into the deep pools. Popular streamer flies are Muddler Minnows and Zonkers, all in the larger sizes, 2-6. Currently, fishing from boats from Quake Lake to Lyons Bridge FAS is prohibited, providing the wade angler a “refuge” from other sections of the Madison River that sometimes seems over-run by float anglers. The Madison River has a very fast current on this section, and is also closed to float fishing. Although the Madison River has left the mountains behind as it enters the Madison Valley, a steep gradient coupled with a rocky bottom combine to make the current fast and choppy. While the water moves swiftly, excellent fly fishing happens once spring run-off subsides. For the top water angler, an Elk Hair Caddis in sizes 14-16 works extremely well during the summer. Other popular imitations that should be in the top waters fly box include the Blue Winged Olive, the Pale Morning Dun (a must! ), the Parachute Adams, and the March Brown. Since the Madison River is so quick on this section and has a multitude of currents, short casts provide the best technique for fly fishing on top. Longer casts generally will end up resulting in heavily dragged floats – not conducive to good fly fishing. A piece of good news for the angler fly fishing this section of the Madison River is that the fish are not as spooky as found further downstream. Due to the fast current, the fish on this section have little time to make up their mind about a particular fly, giving an angler some room for error in their presentations. A bad cast, unless it is a really bad one, usually will not spook a feeding trout. This stretch of the Madison River, which is open to float fishing, runs for thirty-nine miles and receives the heaviest fishing pressure. The first thirty miles of the river in this section resembles a never-ending riffle, with little of the standard trout habitat one would expect to find. Few pools, boulder gardens or undercut banks await the angler. Despite the lack of apparent trout habitat, the fishing in this section is perhaps the finest on the river. Current estimates put the number of rainbow trout in this section that are ten inches or greater over 1500-2000 fish per mile. This hefty fish population of both rainbow and brown trout provides excellent fly fishing. While this section of the Madison is the most heavily fished portion of the Madison River, by far the heaviest fishing pressure occurs during the Salmon Fly hatch that generally starts in late June, with the prime fishing period running for about two weeks. During this period, anglers flock to the river in droves, hoping to catch the hatch during its prime. Attempting to be on the Madison River during the hatch is an exercise in luck and good fortune. High, cloudy water can severely reduce the both the hatch and the anglers ability to catch anything. Cold weather also puts a damper on the feeding activity of trout. However, for the angler who likes to fly fish large dry flies and is lucky enough to arrive at the right time, a better river for trout fishing is difficult to find. Large dry flies, in various Salmon Fly imitations, are the flies of choice during the hatch on the Madison River. Countless fly imitations have been created for just this specific hatch. While imitations such as the Sofa Pillow, the Kaufmann Stone and the Montana Stone, in sizes 2-6, all will catch fish and are popular choices, it is highly recommended that any angler lucky enough to hit the hatch stop by a local fly shop to find out what the local fly of choice is for the current hatch. Unfortunately, high, cloudy water can severely hamper dry fly fishing during the hatch on the Madison River. To help counter this, large stonefly nymph imitations and attractor patterns are also used during the hatch, bouncing them right along the bottom, particularly near the riverbanks. The trout will not be picky about what a particular fly looks like when fishing sub-surface in murky water. However, due to the murky water, large patterns in sizes from 2-6 that are darkly colored (black is the preferred color) work best. Wolly Buggers are a popular pattern used during this period. Also, generally at least a foot of water clarity is needed to successfully fish in this fashion. Thus, if the Madison River happens to be a moving sea of mud during the hatch, anglers will find more success fishing further upstream—such as right below Hebgen Dam or up in Yellowstone National Park—where the water is likely to be clear. Following the Salmon Fly hatch, this stretch of the Madison River provides some of the best dry fly fishing in the state. Extensive caddis hatches occur during the summer along this stretch. Popular flies include the Emergent Sparkle Pupa, Elk Hair Caddis, Sparkle Dun, Pale Morning Dun, Parachute Adams and the Green Drake, all in sizes 12-16. Dry fly attractor patterns such as the Royal Wulff and the Humpy also work extremely well. An angler visiting the Madison Valley for the first time cannot help to notice how open the valley is. 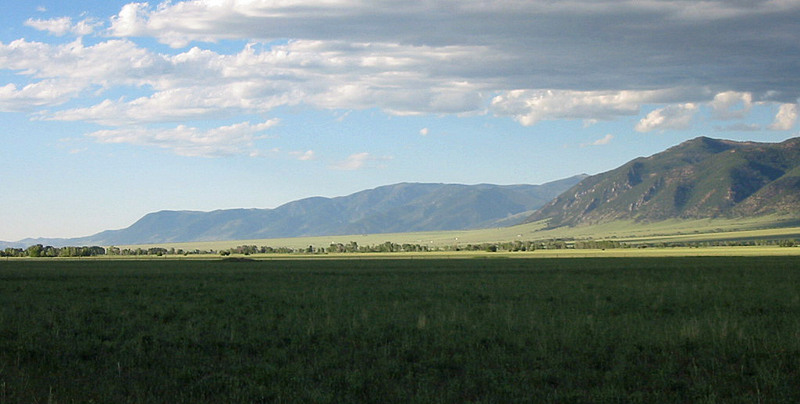 Not surprisingly, such a wide-open valley full of grass and ranchland is prime grasshopper territory. Beginning in late July (or once the water has cleared and the air temperature has warmed) and lasting for the remainder of the summer, grasshopper patterns work very well on the Madison River. Fishing hopper patterns is an excellent way to take large trout during the summer. Float the hoppers both along the banks as well as out in the middle of the river. Hopper sizes should range from 4-10, with pretty much any hopper imitation working just fine. Beginning in late September, this section of the Madison River provides excellent fishing for brown trout using large streamer and attractor patterns. 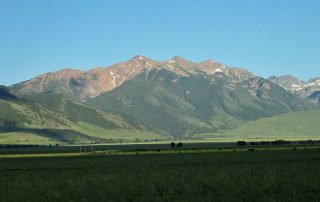 The Madison River provides little of the normal typical streamer terrain an angler is use to, such as deep holes, around big rocks and by undercut banks. Consequently, streamer fishing on the Madison River during the fall involves casting the streamers right along the banks, even into very shallow water, and retrieving them quickly. 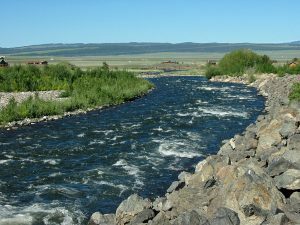 This stretch of Madison River is generally float fished, but can provide excellent fishing for the wade angler from the many available fishing access sites. For the angler who will be fly fishing from shore, do not be bashful about wading up or downstream from the various fishing access sites. A walk of only a mile or so will take wade anglers well away from most other fisherman. While any wade angler will still have to deal with a parade of rafts, once the Salmon Fly hatch runs its course by mid July, the number of float fishermen does drop. The bulk of the fly fishing pressure on this stretch occurs during the Salmon Fly hatch. For the visiting angler wishing to avoid the crowds or for the angler who prefers to use standard dry flies, consider visiting this section of the Madison River anytime after mid-July. By late July, the river should run clear, the days should be warm and the Salmon Fly hatch craziness has ended, allowing for great conditions for the dry fly fisherman, especially for those who lack a fishing boat. Downstream from Varney Bridge fishing access site, the fishing pressure is lower. Due to a slower current and somewhat lower fish populations, the majority of float fisherman take out at Varney Bridge, freeing up the river for wade anglers. 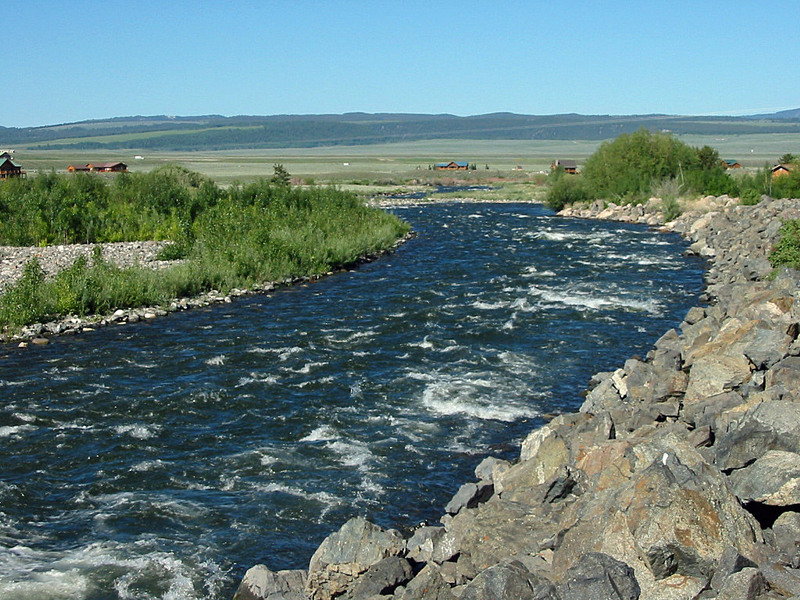 The Madison River also becomes more challenging to fish, as the un-ending riffles found upstream come to an end, providing the angler with less forgiving terrain. A precise cast on lighter tackle is required to take the larger brown trout that are found in this section. While float fishing is allowed downstream from Varney Bridge, this section of the river is an excellent place for the wade angler due to the reduced float traffic. Additionally, just below Varney Bridge, the Madison River braids into two channels, with the main channel on the right. Successful wade fishing can be had in the channel and off the island in between the channels. As the current is slower and the fish are spookier, care must be used when fly fishing this section. 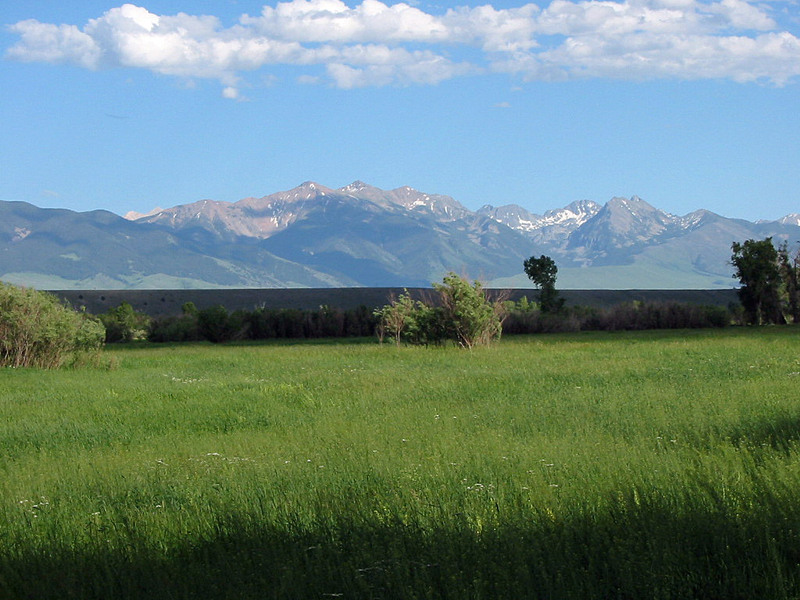 Both the BLM and the Montana FWP provide many fishing access sites along the Madison River in this stretch of river. These access sites are easy to reach. But as always when shore fishing, fishing tends to be better the further away you get from the access site. 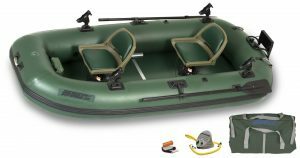 Inflatable fishing rafts are portable, relatively inexpensive and excellent boats for fly fishing in Montana. Learn more about these dedicated fishing rafts. Below the Highway 287 Access Site, float fishing is not allowed. The current of the river starts to slow as well. This stretch of the Madison has the least fly fishing pressure, despite its close proximity to town. The relatively low fishing pressure combined with the prohibition on float fishing makes this an ideal place for the wade angler who is in search of large brown trout. Additionally, the Madison River takes on more of a characteristic trout stream look, with vegetation along the banks, some holes and undercut banks. Numerous braids and channels on this section also exist, creating a wide variety of fishing conditions not found elsewhere on the Madison River. This section of the Madison River probably holds the largest trout of any place on the river, although their numbers per mile are lower than further upstream. Brown trout are the dominant trout species on this stretch. Due to the slower water and the more finicky nature of brown trout, this stretch of the Madison River also is its most demanding. Precise casts and careful approaches are required to avoid spooking the fish. Fishing this section of the Madison River is not very different than found further upstream. Early summer sees has the same Salmon Fly hatch spectacle as found elsewhere. During the summer, dry flies and hoppers work extremely well. In addition, streamer patterns can be used in the summer months to catch the larger brown trout. Fish the streamers right along the banks, with fast retrieves, focusing on the areas that have undercut banks and natural obstructions such as downed trees. It is during the fall, however, that this stretch of the Madison River comes into its own and can become quite popular. With its undercut banks, holes and bushy banks, prime brown trout fishing occurs with large streamers. Each fall, very large brown trout migrate out of Ennis Lake to spawn. While the numbers of spawning fish are not very high, the fish tend to be very large, providing an angler with an excellent chance to take a very large brown trout. The technique used during the fall to catch these fish is the same as during the summer, fishing streamers right along the banks and in the holes. As the fish are large and the riverbanks have lots of timber and other obstructions, heavier tackle is required. 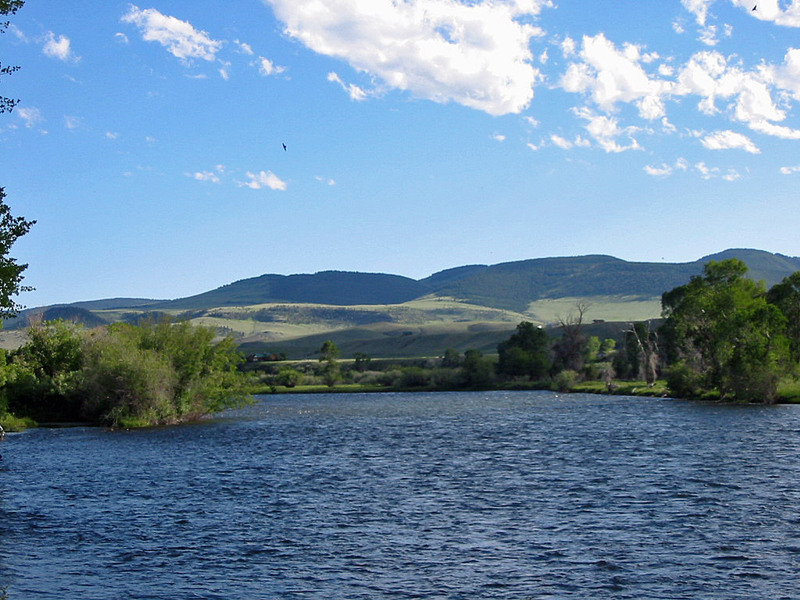 Between Ennis Lake and Three Forks, Montana, the Madison River is divided into two distinct sections. The first section flows through Beartrap Canyon and the second section is downstream from the Canyon, known as the Lower Madison River. Flanked on both sides by tall mountains, the river roars through this canyon with a very fast current and lots of whitewater. Access to this stretch of the Madison River is difficult. The fast current and whitewater severely limits float fishing, while the hike in to the canyon brings its own hazards in the form of lots of rattlesnakes, rocky terrain and steep trails that have a habit of ending when least desired. 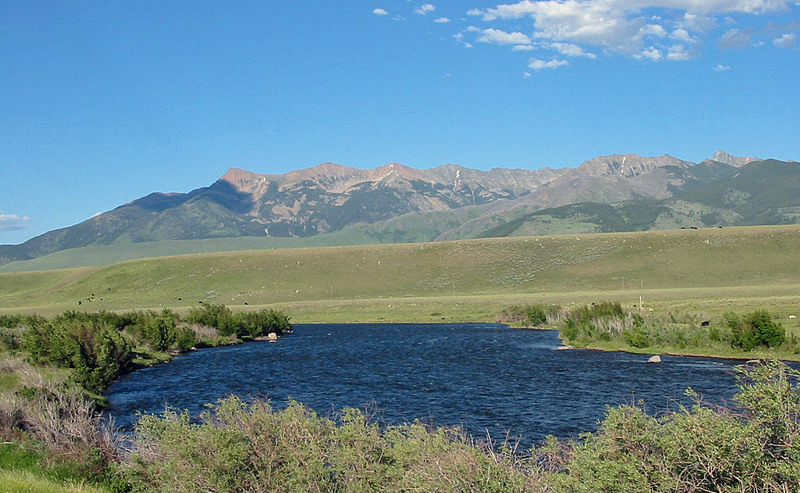 A mix of brown trout and rainbow trout are found along this stretch of the Madison River. Not surprisingly, fly fishing pressure on this stretch of the Madison River is very low. The river, even from shore, is difficult to fish. During the middle of the summer, the water temperature can creep to high temperatures, hampering feeding activity. As a result, late spring and the fall are the best times to fish on this section. Use large streamers and attractors, heavily weighted, putting them down in the numerous holes in this section. As the river spills from Beartrap Canyon, the Madison River slows down substantially and turns into a decent fishery for brown trout with some rainbow trout scattered in as well. The best time to fly fish this section is during late spring and again in the fall. During the summer, the Madison River temperature can become quite warm, so warm that occasionally it results in fish kill. 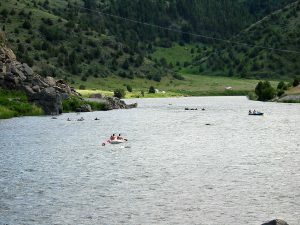 It needs to be noted that the Madison River directly below Beartrap Canyon can be swamped with recreational floaters during the summer – particularly on the weekends. Stay away from this section if you are seeking solitude or don’t want to have to deal with numerous and noisy rafts floating by. This section of the Madison River offers excellent wade fishing. As always, the best fishing will be found as far away from the popular access sites as possible. Anglers willing to walk away from these sites are likely to have the best fly fishing. For those who hit the lower Madison River during the summer months, dry fly fishing is still possible in the early morning and again in the late evening. While the hatches that occur are not heavy, the hatches are frequently strong enough to bring some fish to the top. Use the same dry flies as when fishing further upstream, such as the Sparkle Dun, Elk Hair Caddis and the Parachute Adams. As mentioned, spring and fall provide the best fishing opportunities on the lower Madison River. Streamer fishing can provide for solid action for brown trout, while attractor patterns such as Wolly Buggers work well for rainbow trout. Expedition level inflatable kayaks work well for fishing and are ideal for long floats down remote Montana rivers and whitewater. Learn more about these versatile & durable inflatable kayaks. The Madison River in Montana provides an exceptionally scenic float, by any standard. 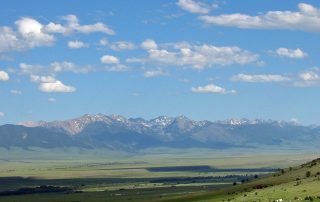 The wide open Madison Valley, combined with snow-capped peaks lining the sky line, make any day spent on the Madison River, whether it be fishing or just floating, worthwhile and thoroughly memorable. 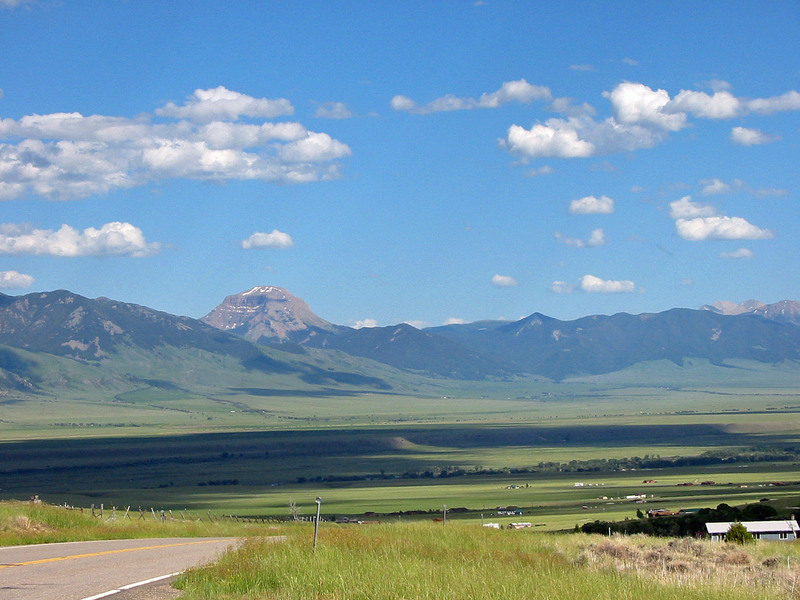 Floating can begin just outside West Yellowstone. However, due to Hebgen Lake, which requires a long paddle across, floating generally begins further downstream. Floaters can also put in directly beneath Hebgen Dam, allowing for a short float down to Quake Lake that also requires a short paddle. Directly below Quake Lake outlet exists a wild, whitewater ride lasting for 3.5 miles for those willing to try it. Constant whitewater of Class III and Class IV rapids along with many drops exist, challenging even the most skilled whitewater enthusiasts. Only experienced paddlers in high quality hard shell kayaks, inflatable whitewater kayaks or whitewater inflatable rafts should attempt to float this stretch. Additionally, due to the rivers narrow width and extremely fast flows, fishing from a speeding boat is exceptionally difficult. The wild ride on the Madison ends just above the Highway 87 Bridge. Below the bridge, and for the next eight miles up to Lyons Bridge, the Madison River has an extremely fast flow with quite a few pockets of Class II whitewater, along with some large waves. While this section is not immensely challenging for floating, it can make for a bumpy ride. Below Lyons Bridge up to Varney Bridge, the Madison River turns into a swift flowing river with seemingly endless riffles. No section on this river should pose any problem to floating. Other than the fast current and lots of riffles, no rapids exist other than some small waves that are scattered about. Below Varney Bridge, the river still runs quickly up until Ennis, where it begins to slow substantially until reaching Ennis Lake. The Madison River also has a number of channels in this stretch. Above the town of Ennis, a channel braids off to the left, which should be avoided as there is a diversion dam on that channel that must be portaged. Below Ennis, three channels exist for its run into Ennis Lake. The Madison runs right past the town of Ennis, making for a convenient take out point before Ennis Lake and the slow water downstream to the lake. As the river flows through the Madison Dam, it enters Bear Trap Canyon, which has extensive whitewater sections. Several Class IV rapids and numerous Class II and III rapids exist, requiring a high quality raft with an experienced paddler. Due to the very fast flows, fishing is very difficult on this section from a boat. The rivers trip through the canyon lasts for nine miles. Once again, the preferred boats of choice for this stretch include hard shell kayaks, inflatable whitewater kayaks, inflatable expedition level kayaks and inflatable whitewater rafts. 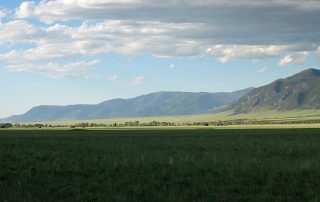 Once the Madison River emerges from Beartrap Canyon, the flows slow down and the pressure on the river lessens considerably. The lower portion of the river runs through an open and relatively arid valley, with no obstacles in the river other than an occasional wave or rock. 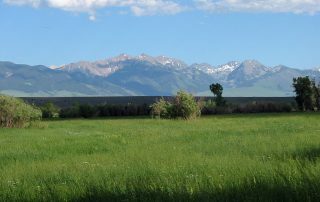 The Madison River ends where the Missouri River begins, near the town of Three Forks and the Missouri River Headwaters State Park. Listed below are river miles between selected access points. View more info about selected fishing access sites at the Montana FWP website.